In today’s ever growing digital era, the prime significance is laid to Big Data and analytics to handle performance and profits of any organization. Presently, many market leaders are already using big data and big data analytics in ways that seem futuristic to their lagging competitors and many enterprises are focusing on numerous analytics tools to strengthen data that aid businesses with their marketing objectives. But in certain cases, these platforms may fall short. In instances where huge scale research is essential and large amounts of data need to be controlled, companies acquire a compelling and acute platform that serves as the backbone for data. This is where Teradata comes into the picture. Teradata is the leading solution in the market for data warehousing. It consolidates data from numerous sources to make marketing analysis very much easier for large scale enterprises. The market is expanding every day to customers that never would have been viable before. As data gets more valuable, a system from Teradata gets easier to justify. Teradata is a very good company in terms of database technology. You will enjoy working with Teradata if you have a passion for complex system architectures and parallel processing algorithms. Many aspiring IT professionals look for career safety with mass-market technology. The best way to move ahead is through enhancing your knowledge and strengthening your professional credibility. Both these can be done by obtaining the Teradata Training. Since Teradata helps smart companies smarter by providing them with intelligent solutions, there are plenty of career opportunities for an individual completing the Teradata course. Who Is Suited For A Career In Teradata? As most of the corporations are focusing on digital marketing, careers around Big Data and analytics are being most favorable. Every company is extending its hands for experts who can aid them reach better results and enable a cutting edge over others. Only a few elite ones are most preferred in the career space of analytics. If you are someone with an immense passionate about analysis and data processing, and managing parallel processing structures, complex algorithms and various types of code, then Teradata management is the role for you. What Are Career Paths Available In Teradata? Teradata career can be both challenging as well as exciting. 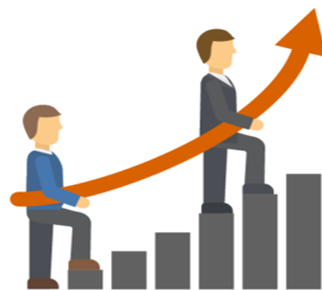 The growth curve seems to rise rapidly in this field and Teradata possesses a lot of knowledge in the sector of marketing and business strategies in this ever growing digital age. A Teradata manager carries the responsibility for all aspects related to database acquisition and analytics. Collecting information, analyzing data and determining the importance of different statistics is prime facets of this role. Teradata development and database administration. As a Teradata Developer, one is required to maintain all the functions for database administration; on the other hand, a DBA is responsible for the smooth functioning of the day-to-day administration of the Teradata processes. It is technically a sound role and deals with creating and managing complex and high-quality solutions to clients via data warehousing, analytics, and SQL for administering the collated data. This role ensures the Teradata environment runs without a glitch. The responsibility of the administrator is to create and establish structured roles to ensure that the Teradata processes function at optimal levels. The DBA is also responsible for quality control and auditing to ensure appropriate usage of data to ensure accurate results. The DBA dons many hats by working with different teams such as designers and developers to fine-tune the functioning of the Teradata processes and also to resolve issues that occur in a professional and technical work environment. The number of IT professionals saw a massive surge over the last few years. But, the future would be driven by professionals who would have expertise on specific courses. Teradata provides intelligence solutions to businesses which suit their needs. Currently, Teradata not only handles data warehousing, but is also involved in doing Business Intelligence analytics, helping in utilizing the data in the best possible manner to get the best value out of it.